Organizations, both large and small, amass a large amount of information that is stored on their intranets or internal networks. Over time, this information becomes more and more difficult to find and retrieve. In order to access this information easier, the entire data has to be classified systematically. This can be done using one of SharePoint’s most powerful features – Enterprise Search. 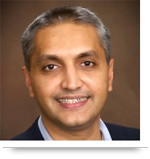 Organizations tend to have a large amount of both structured and unstructured data. This makes it difficult to devise a consistent means of searching through data. There needs to be a reliable way to cohesively organize the existing information as well as the new entries that pour into the system on a daily basis. Enterprise Search can serve this purpose by resolving the different types of data and facilitating in accessing the required information quickly. 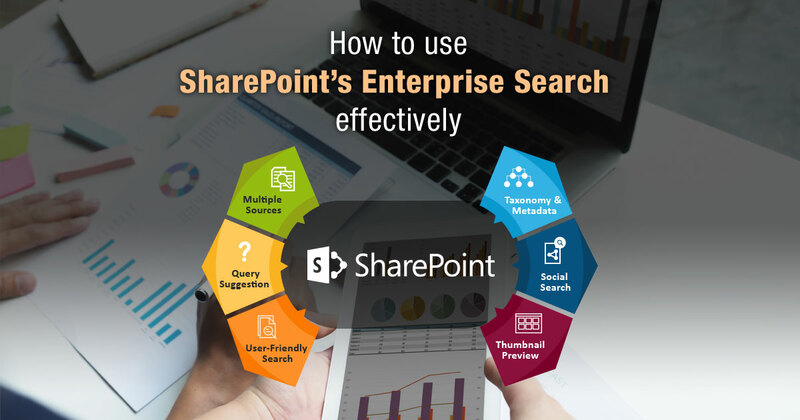 SharePoint’s Enterprise Search is a quick, easy, and powerful tool for retrieving various kinds of data that is scattered across a system. Microsoft offers a range of search solutions with regular updates (Microsoft SharePoint Foundation 2013, Microsoft Search Server 2013 Express, Microsoft Search Server 2013, Microsoft SharePoint Server 2013, Microsoft FAST Search Server 2013 for SharePoint). These robust search features bring efficiency by catering to the needs of different organizations who may store data in various forms. Search results can be highlighted and drilled down. Users can search for various file types and use file type icons to help in identifying the document type faster. The search has multi-lingual support as well as “Did-you-mean” and “View in browser” features. Improves the query syntax. Query suggestion has Boolean operator support available and a personal query log. Searches can be improved with progressive suggestions. Search results from a collection of available sites. Allows for federated search results for faster internet and intranet search results. Taxonomy drives search results while metadata drives refinement. Yields drill-down search results based on tagged metadata to reach results faster. Search people and expertise. Show recently authored document results. If name is unknown, can also search phonetically or by nickname. View results in address book style with relevance sorted by social tagging or expertise identification. Ability to pull previews of pages/slides/documents. Allows for visual and conversational searches when possible. Call us at 484-892-5713 or Contact Us today to learn more about usage of SharePoint’s enterprise search effectively.